This re-screening kit comes with 25 ft. of charcoal fibreglass screening material, 60 ft. of spline, and a spline roller. Designed for the do-it-yourselfer, this kit contains enough screening material to re-screen several windows. Easy to install; instructions are included. Phifer Charcoal Aluminum insect screen is a precision woven and uniform coated screen. Durable and weather resistant, this screen is ideal for all your window, door and porch applications. The consistent finish enhances curb appeal. 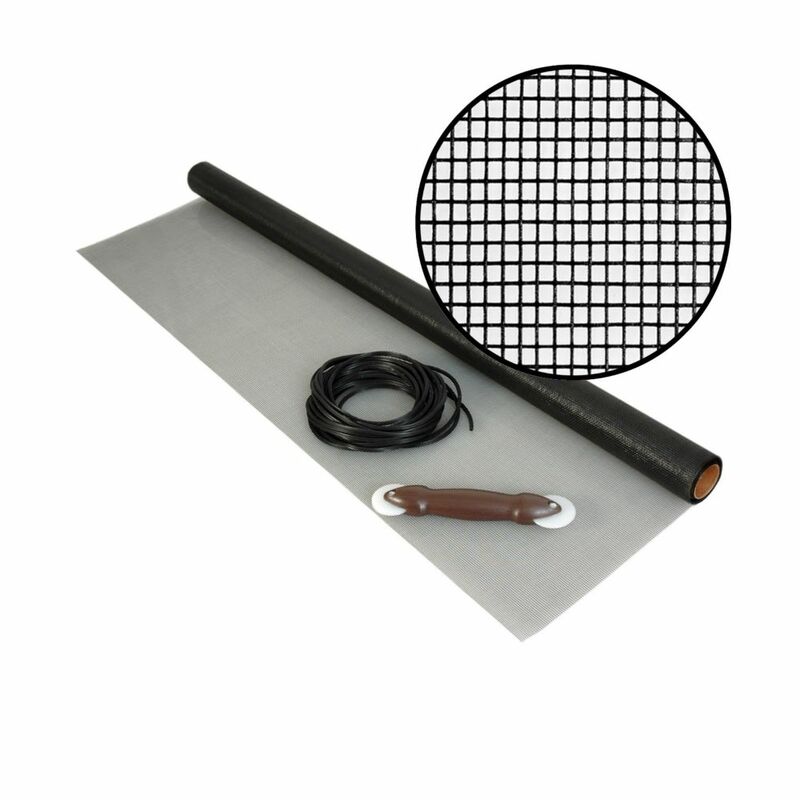 48-inch x 25 ft. Fiberglass Charcoal Screen Kit This re-screening kit comes with 25 ft. of charcoal fibreglass screening material, 60 ft. of spline, and a spline roller. Designed for the do-it-yourselfer, this kit contains enough screening material to re-screen several windows. Easy to install; instructions are included. 48-inch x 25 ft. Fiberglass Charcoal Screen Kit is rated 4.6 out of 5 by 34. Rated 5 out of 5 by HomeDepotCustomer from Work well. had to apply pressure to push the... Work well. had to apply pressure to push the wire. Rated 5 out of 5 by ArmandoR from Great product at a great price. Super easy to use.... Great product at a great price. Super easy to use. Rated 5 out of 5 by David from Very handy tools Very easy to use. Must choose the right thickest to make the job easier. Rated 5 out of 5 by Paul from I repaired 10 screens for the price that the hardware... I repaired 10 screens for the price that the hardware store wanted for one! Great deal. Rated 3 out of 5 by EChe from Good Deal. As other Reviewer has said, the supplied splines should be more and it is difficult to order more without knowing what is the diameter of the supplied splines. Note: this arrived from USA.